For the NMR measurements of a directly coupled LC-(SPE)-NMR/MS systems a flow probe is required. 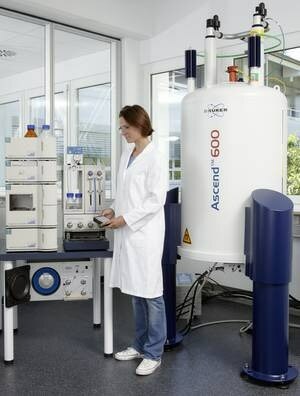 Bruker has developed a variety of high-resolution NMR flow probeswith unique sensitivity and NMR configurations like normal 5mm NMR probes (.i.e. inverse and TXI geometry Z Gradients, ATMA, etc.). They have a build in flow cell, that is available in different sizes.